I know this sounds like a silly question, but think about it for a moment – what is the job description of your home audio or home theater speakers? I mean we all know the job descriptions of other things around our house, the toaster is supposed to deliver golden brown toast, the dishwasher is supposed to clean your dishes until they sparkle, the microwave is supposed to heat things up quickly. What then, are your home audio or home theater speakers supposed to do? Knowing a products job description is important because it allows you the homeowner to decide whether or not it’s living up to its potential. If your toaster burns your toast, you get rid of it. If your dishwasher doesn’t clean your dishes you call a repairman. So then, how do you know if your home audio system or speakers are doing what they’re supposed to do and if it’s time to get rid of them? Let me offer this answer. The job description of a home audio speaker or home audio system is to zonk you, to remove you from reality and take you to another place where time passes without you knowing it, where distractions don’t exist. Good home audio speakers allow you to get completely and emotionally involved into the piece of music or film. Is your home audio or home theater system doing that for you? I’ll never forget my first time listening to great speakers. It was a pair of Vienna Acoustics Mahlers. 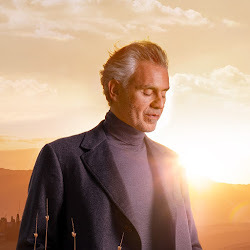 When the music played, the first thing I noticed was the hair on the back of my neck standing up, followed by goosebumps down my arms as Andrea Bocelli began to sing to me. The song was in Italian, and I don’t speak Italian, but I understood exactly what he meant. My vision blurred, things around me got slightly darker, and I was motionless. About 4 minutes later, after the last note had played followed by silence, I snapped out of it, and had to take a moment and look around to figure out where I was. When you sit down to play a movie or piece of music on your home audio or home theater system, you will insert a disc, and hit play. Only 2 possibilities now exist. The movie or piece of music will take hold, grab you, and absorb you completely into it…. or not. That is the job description of a home audio speaker. If you’re not experiencing what I’ve just described, you need to come down to Soundings in Denver, CO and hear it for the first time. I promise you, it won’t be a waste of your time. Marantz Rolls Out New SR-Series Home Theater Receivers Want Better Picture and Sound From Your Home Theater?